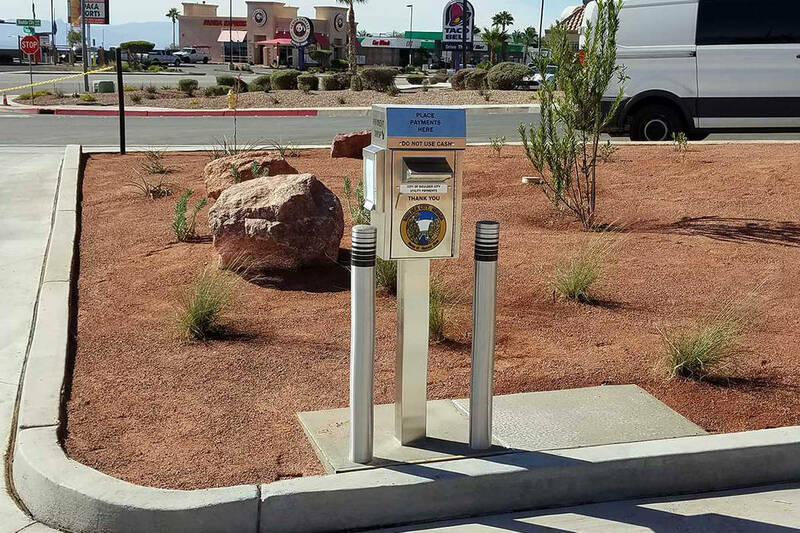 (Boulder City) Boulder City has added a utility payment dropbox at the new Boulder Dam Credit Union ATMs on the corner of Boulder City Parkway and Yucca Street. According to the city, meter readers will be checking the box once a day after 3 p.m.
Boulder City is holding a public workshop Wednesday, Nov. 14, to solicit input and answer questions about its proposed capital improvement plan. The meeting will held from 2:30-4:30 p.m. at the Senior Center of Boulder City, 813 Arizona St. Attendees will be able to ask city department heads questions about plans for building renovations and equipment purchases for the city. For more information, contact Boulder City’s Communications Manager Lisa LaPlante at llaplante@bcnv.org or 702-293-9302. Boulder City is working to make City Hall more user friendly for businesses with some recent initiatives. According to Communications Manager Lisa LaPlante business licenses and some building permits can now be submitted and paid for online by going to http://bcnv.org/9/How-Do-I. The city is also working to add more online applications for other types of permits. Inspection results also will be provided in the field, which can save customers time and keep them in the loop during the permit process. Other changes include having the community development staff simplify the redevelopment agency application process to encourage more business reinvestment. The city is also hiring economic development coordinator.